While Reese was off being brilliant at Food For Black Thought in Austin earlier this month, I made some time to explore my world. I received a pretty groovy invite to Vintage Fashion Night at the Petworth Community Market and had every intention of going, that is until the day of the event. After working 8 hours at my temp job, during what felt like the Washington, D.C. heat wave of 2013, I was seriously ready to head home and shower. Seriously, taking the train in any direction that was not headed home was quickly sliding off my radar, but something said I should go. And I am ever so glad I did. 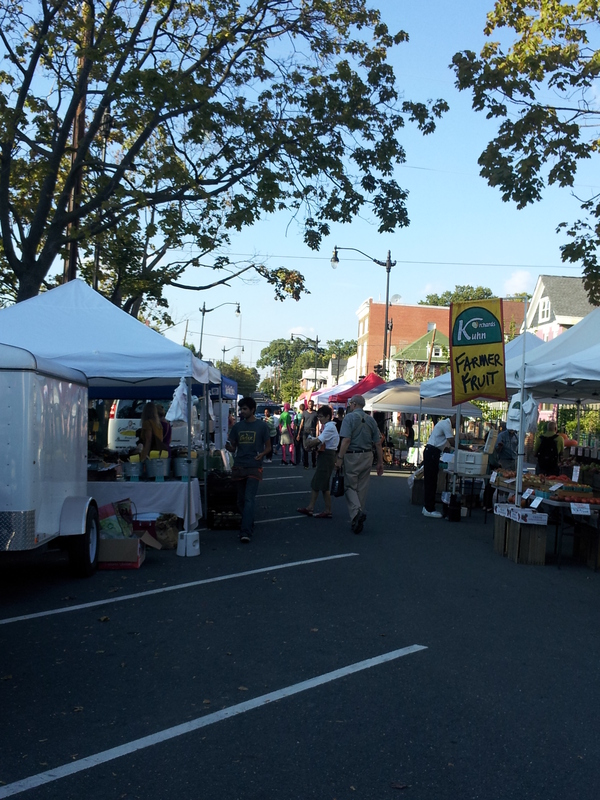 The Petworth Community Market is held every Friday from May 3 to Oct. 25, from 4 p.m. to 8 pm. According to its blog, the market is a non-profit organized by people who live in the Petworth neighborhood as an economic and social stimulus. Not only do vendors at the market take credit and debit cards, they also accept SNAP benefits. On Vintage Night I was pleasantly surprised to find vendors of all stripes selling everything from fresh from the farm fruits and veggies, to vintage menswear, women’s apparel and even vegan/raw cheesecake. Best of all, there were samples and I was hungry. Christopher Williams, curator for Brown & Williams Clothier, really caught my eye because he was so sharply attired. 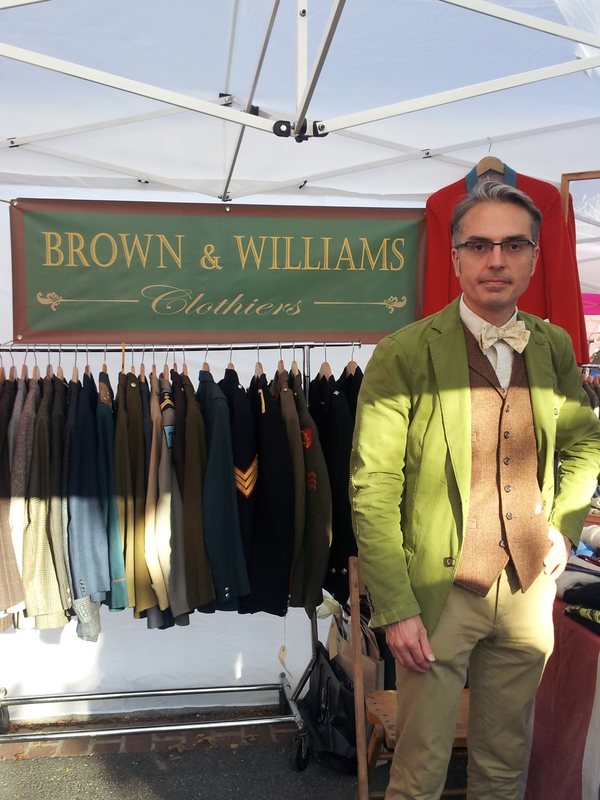 Brown & Williams specializes in fine mens vintage clothing imported from Britain and Christopher was showcasing a fabulous selection of mens jackets and blazers that would be perfect for the man of discerning fashion sense. The fabulous custom bow ties designed by Elizabeth St John. Christopher was rocking a fabulous reversible bow tie designed by Elizabeth St John. Elizabeth specializes in couture bridal wear and incredibly cool custom bow ties too. In addition to checking out cool fashions I also got to try the sweet treats — vegan, raw cheesecakes to be exact — produced by the ladies of Sweet Raw, who specialize in gluten-free, vegan and uncooked goodies. Alas, I went home with two bunches of beautiful swiss chard, green tomatoes from Shlagel Farms, and apple cider from Kuhn Orchards. While Vintage Fashion Night was a one night only event, there are still two Fridays left before the regular market shuts down for the season. Plan to go this Friday! 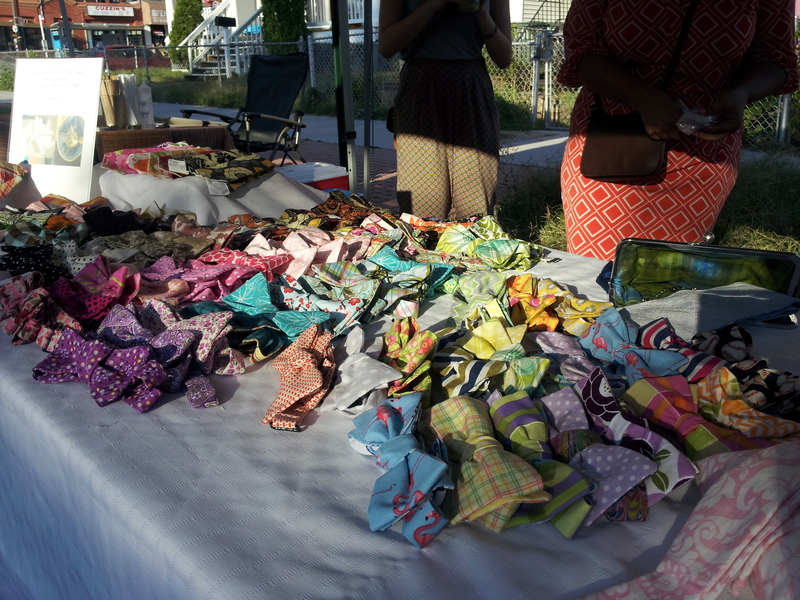 Categories: adventure, Around Town, Uncategorized | Tags: autumn, bow ties, farmers market, fashion, food, Petworth Community Market, vegetables, vintage | Permalink.